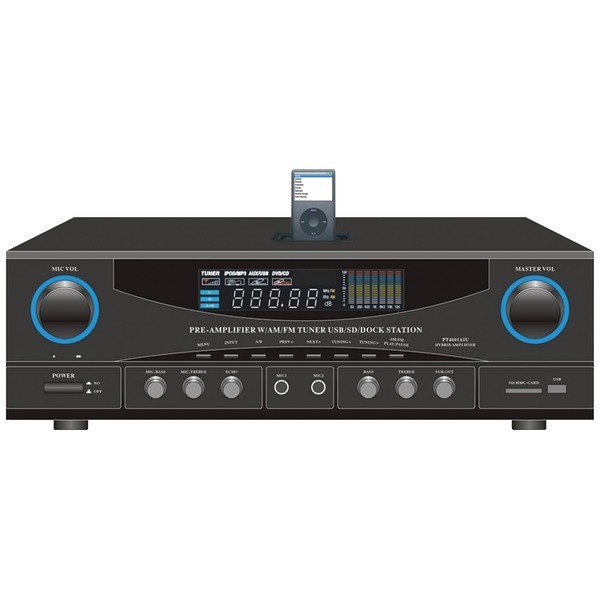 This powerful 7 Channel amplifier with built-in bluetooth from Denon features a high current discrete power output devices on all channels. 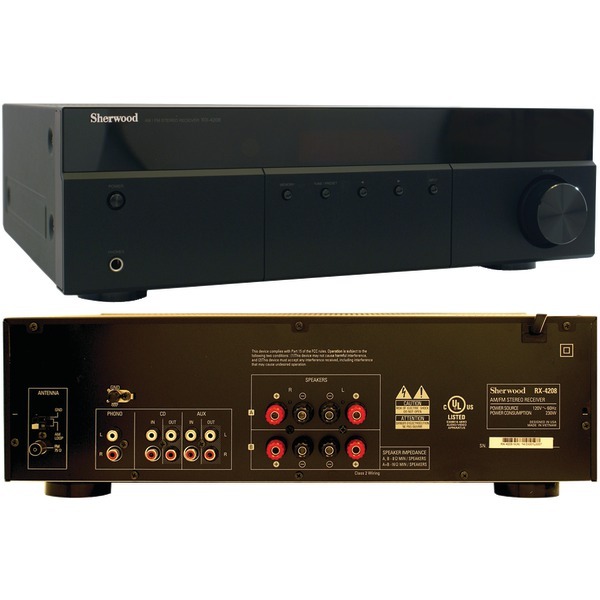 The AVRX1400h delivers high power and is rated at a maximum of 80 watts per Channel. 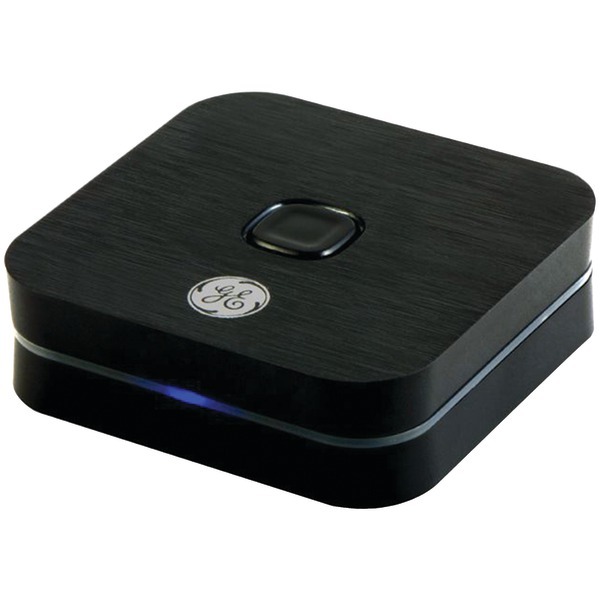 With built-In HEOS wireless multi-room technology. The HEOS app puts multiple streaming services in the Palm of your hand, ready to play on your AVR or any devices on your HEOS network! 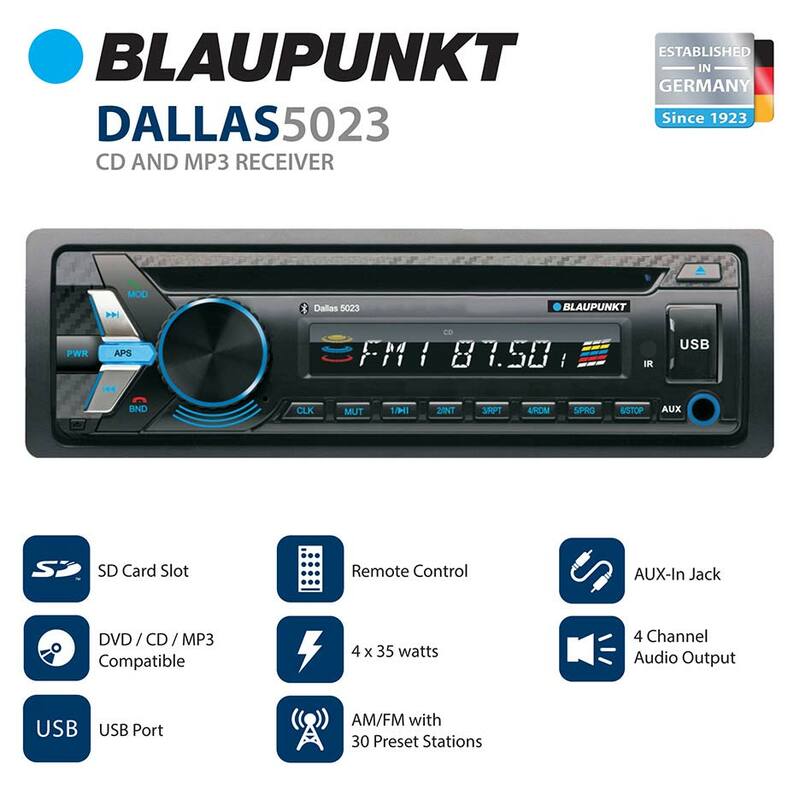 Works with Alexa for voice control (Alexa device sold separately), Built-in bluetooth, App remote control, Apple Airplay,Powered multi-room audio output, Preamp Multi-room audio output, 6 HDMI inputs, 1 HDMI monitor output, 2 Subwoofer outputs, 1 Ethernet port, 1 USB connections (front). This item cannot ship to APO/FPO addresses. Please accept our apologies. 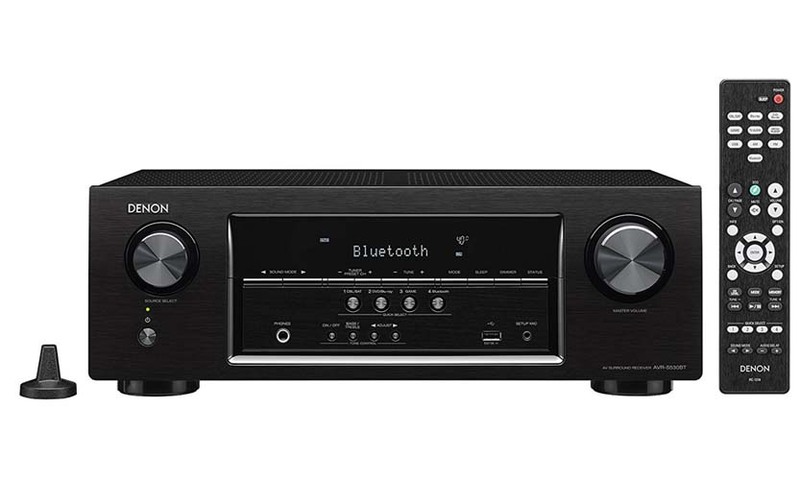 This powerful 7 Channel amplifier with built-in bluetooth from Denon features a high current discrete power output devices on all channels. 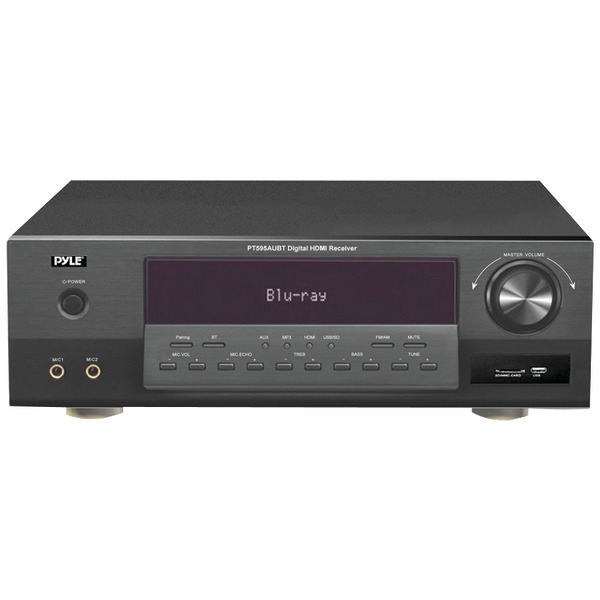 The AVRS930h delivers high power and is rated at a maximum of 185 watts per Channel. With built-In HEOS wireless multi-room technology. The HEOS app puts multiple streaming services in the Palm of your hand, ready to play on your AVR or any devices on your HEOS network! Switch between 2 high frequency rolloff target curves. 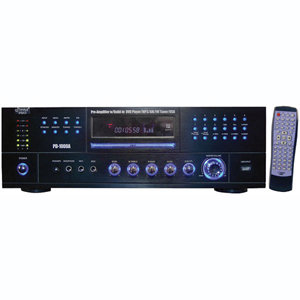 Built-in bluetooth, App remote control, Apple Airplay, 4k video upscaling, Powered multi-room audio output, 8 HDMI inputs, 2 HDMI monitor outputs, 2 Subwoofer outputs, 1 Ethernet port, 1 USB connections (front). This item cannot ship to APO/FPO addresses. Please accept our apologies. 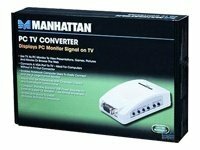 Displays PC Monitor Signal on TV This item cannot be shipped to APO/FPO addresses. Please accept our apologies. 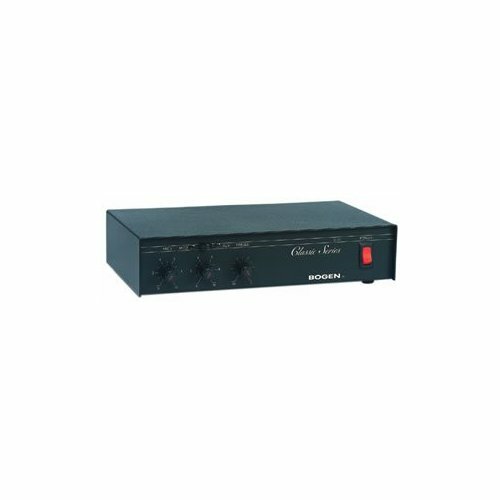 The WyreStorm EX-2UTP-IR-50 balun set extends your HDMI version 1.3b 1080p video and Dolby TrueHD/DTS Master Audio (or lower audio formats), with IR relay for control and EDID setting up to 50m away from your HDTV HDMI source using Two runs of Cat6 UTP cable. 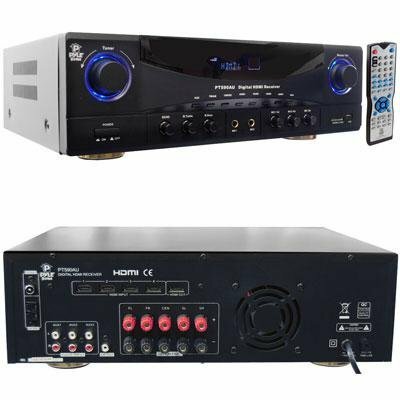 It also transmits in 24bit color depth and 3D video (but does not have back channel IR). 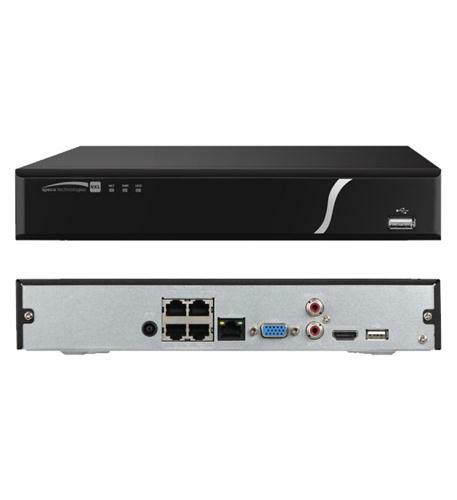 The WyreStorm EX-2UTP-IR-50 sender unit sits next to your computer, Blu-ray player or SkyHD box. 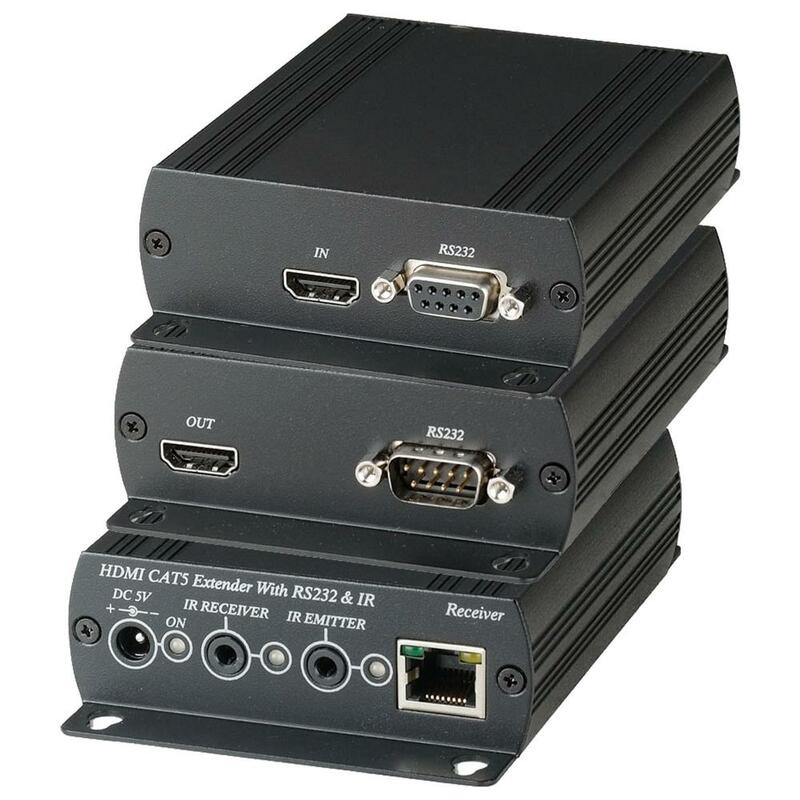 Use an HDMI cable to connect your HDMI video source to the sender. 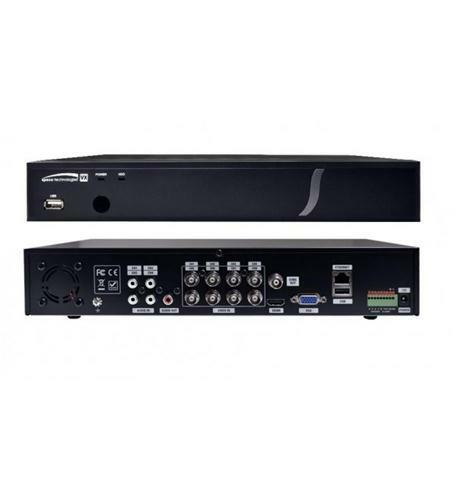 The WyreStorm EX-2UTP-IR-50 receiver (RX-50IR-PRO) sits next to your HDMI display - up to 50m away for 1080p (60m for 1080i as used by SkyHD). 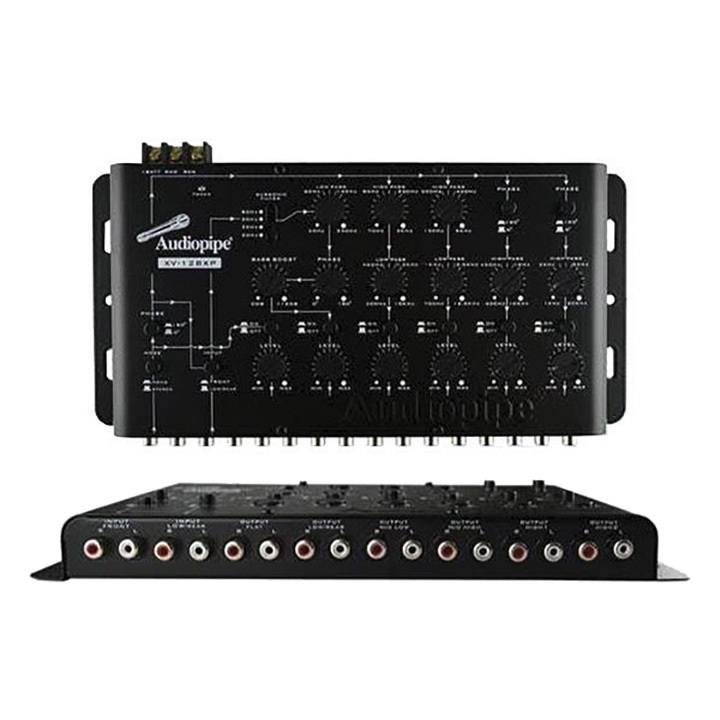 The display plugs into the back of the WyreStorm EX-2UTP-IR-50 receiver. Two runs of Cat6 cable are required to connect the sender and the receiver units to each other. 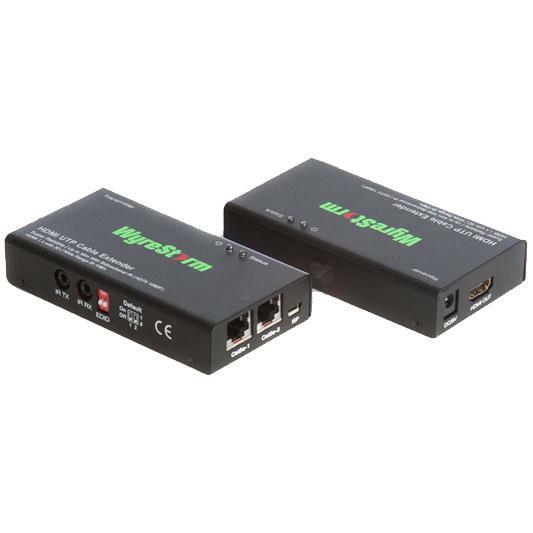 HDMI Cat5/6 Extender uses only one cost effective Cat5/6 cable to extend your HDTV display up to 328ft (100m) at 1080p 3D. 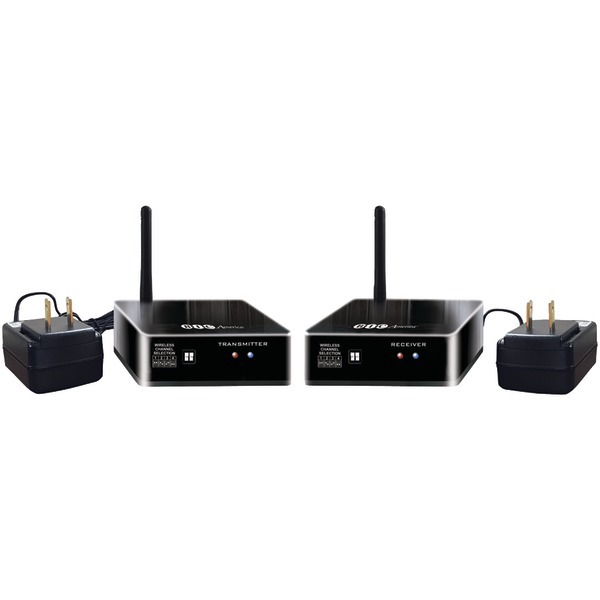 It has Bi-directional RS232 and Bi-directional IR function so that you can have IR receiver or IR blaster at either the transmitter side or receiver side. 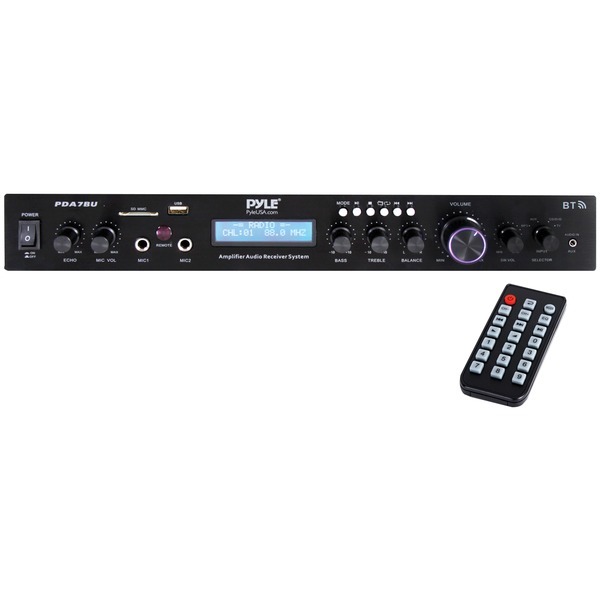 This feature works great in some of the more advanced system designs where maybe RF control is used but then converted back to IR at the equipment location. 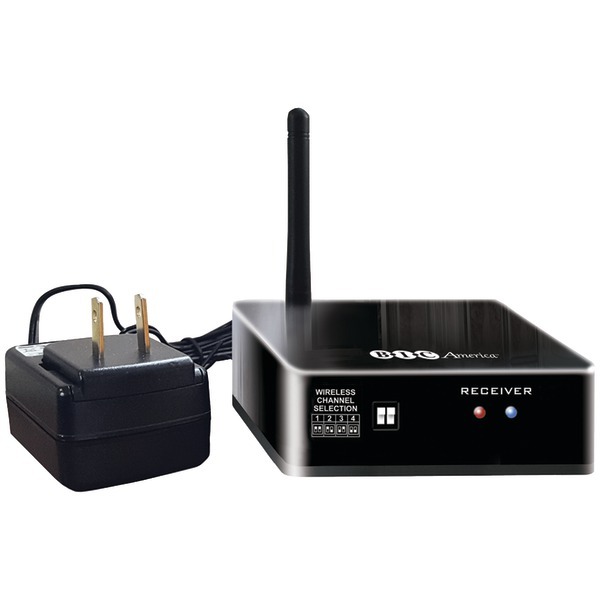 For example to control the TV instead of having IR receiver at that location you may have an IR blaster to control the TV because the main control system is at the equipment location and signal is sent from there out to the TV for control. 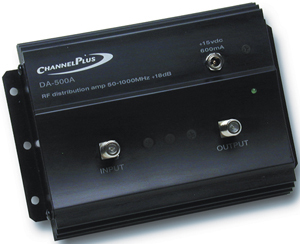 For a more professional option especially in commercial digital signage applications this is the product to use. 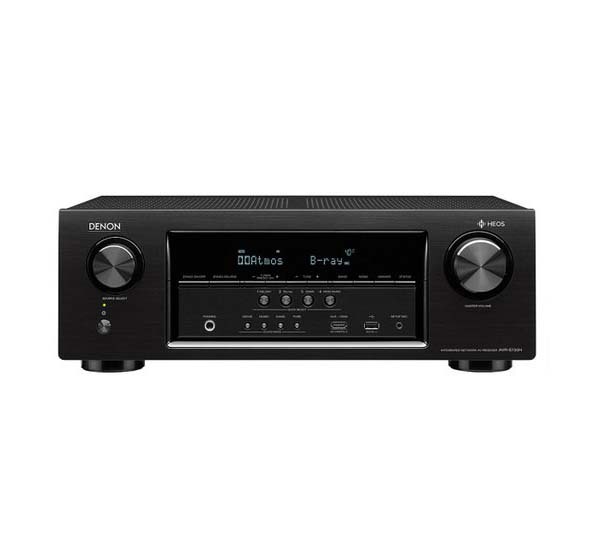 This powerful 5 Channel amplifier with built-in bluetooth from Denon features a high current discrete power output devices on all channels. 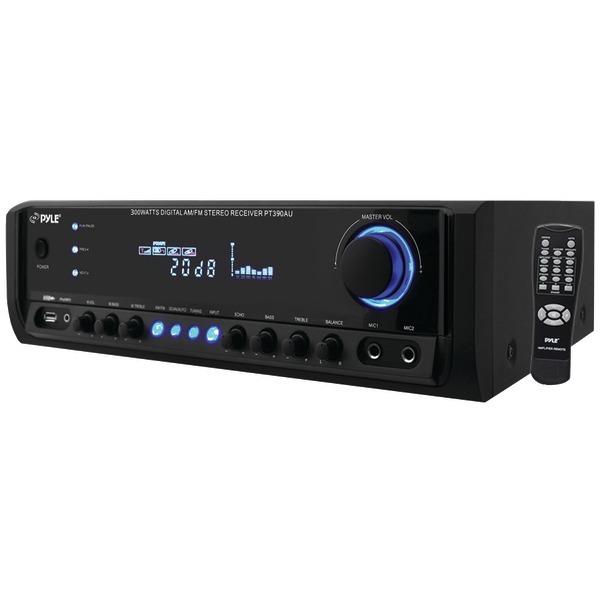 The AVRS530BT delivers high power and is rated at a maximum of 165 watts per Channel. 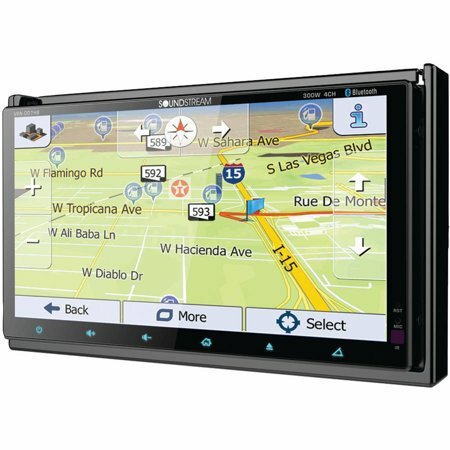 With built-In HEOS wireless multi-room technology. The HEOS app puts multiple streaming services in the Palm of your hand, ready to play on your AVR or any devices on your HEOS network! 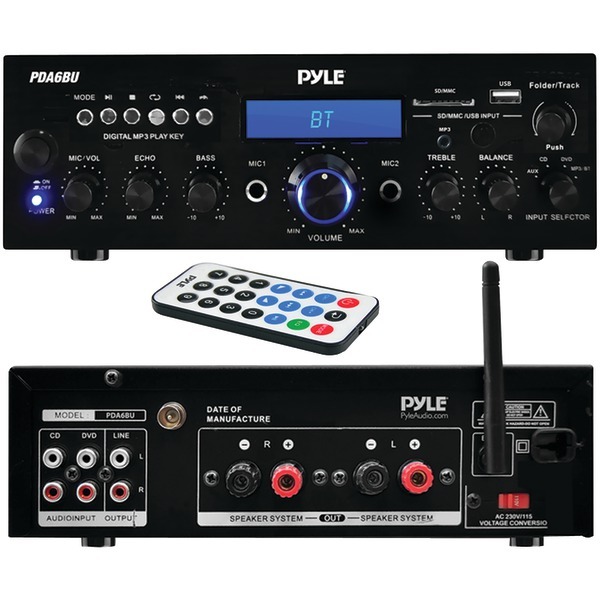 Built-in bluetooth, 5 HDMI inputs,1 HDMI monitor output, 2 Subwoofer outputs, 1 USB connections (front),140 watts per channel, Support for 4k Ultra HD full frame rate. This item cannot ship to APO/FPO addresses. Please accept our apologies. 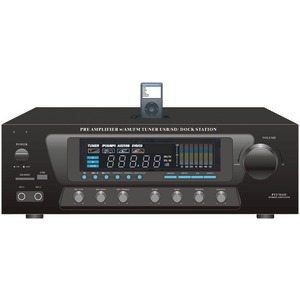 This powerful 7 Channel amplifier with built-in bluetooth from Denon features a high current discrete power output devices on all channels. The AVRS730h delivers high power and is rated at a maximum of 165 watts per Channel. 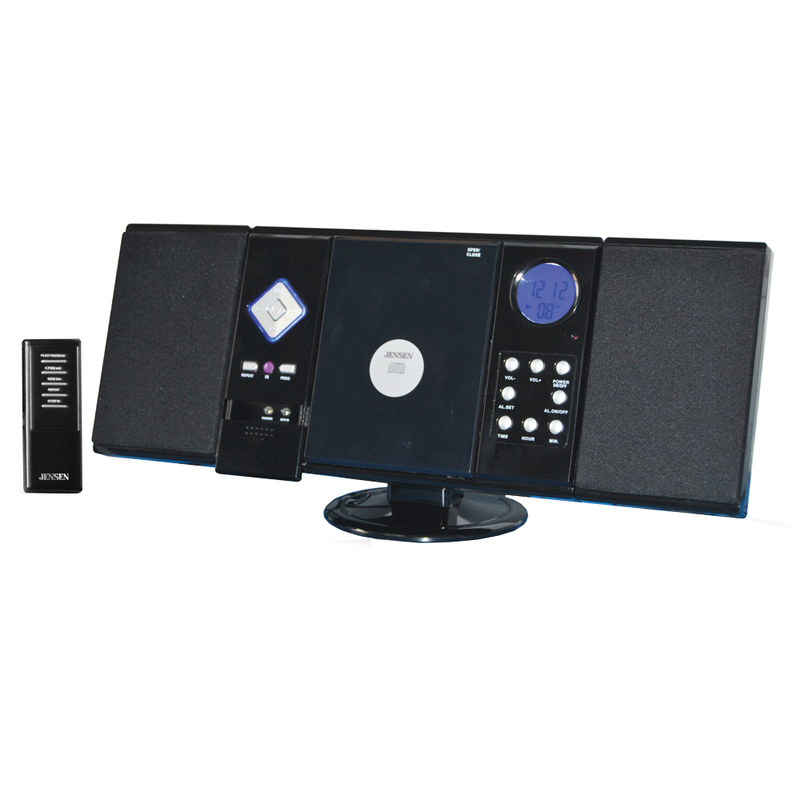 With built-In HEOS wireless multi-room technology. The HEOS app puts multiple streaming services in the Palm of your hand, ready to play on your AVR or any devices on your HEOS network! 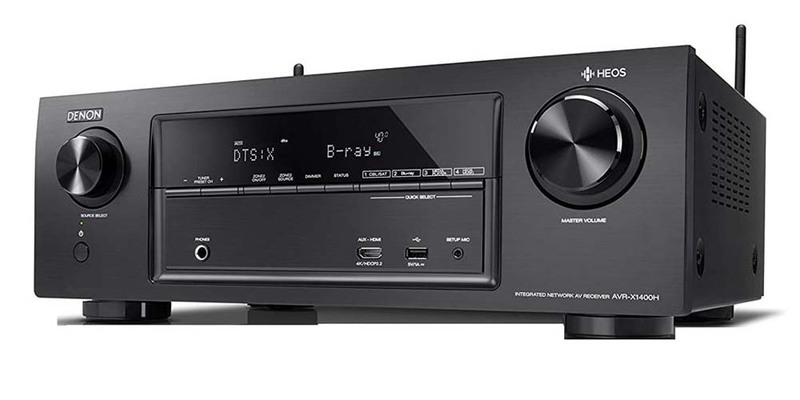 Built-in bluetooth, App remote control, Apple Airplay, 4k video upscaling, Powered multi-room audio output, 6 HDMI inputs, 1 HDMI monitor output, 2 Subwoofer outputs, 1 Ethernet port, 1 USB connections (front). This item cannot ship to APO/FPO addresses. Please accept our apologies.